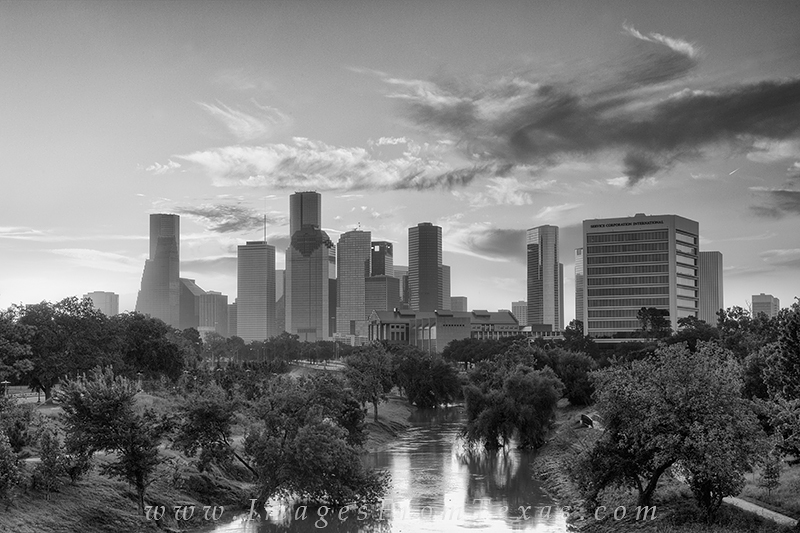 Late summer found me photographing the Houston skyline. Here on a pedestrain bridge along the Buffalo Bayou, sunrise is moments away. I converted this cityscape into black and white because the clouds were so interesting, and I'm partial to black and white, as well. Photo © copyright by Rob Greebon.